In this article, I will present some products you may heard about over the Internet. These range from dietary supplement to specific drugs I want to warn you about. Some of these supplements are quite interesting as fat loss aids. Bear in mind that this article only serves for informative purposes, and I am not in any case in favor of some of the products presented. A proper diet and regular exercise is adequate to reach your goals. Due to the numerous products that I want to present, I’ve decided to split the article in two parts- the second is available here. There are literally thousands of dietary supplements out there, waiting to be bought by John Doe who saw an ad on TV or in some fashion magazine. I have tried some of these supplements, and others I have gathered information about without having tried them personally. If you yourself have tested any supplements, feel free to comment- I’m always interested by this kind of stuff. Supplements that can be helpful while dieting. These aim to bring your body all the nutrients it needs, and help to keep you healthy while dieting. 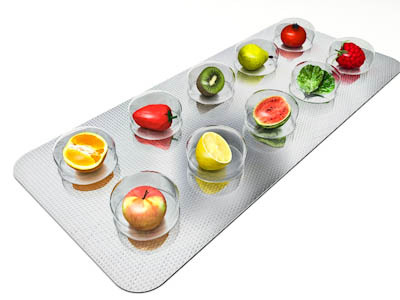 Weight loss supplements- to be more precise, fat burners. These induce lipolysis through their thermogenic action. Specific supplements, such as alpha-2 adrenergic agonists, helpful for stubborn fat (lower-back, love handles, lower-back, etc..). Supplements that either enhance body composition or prevent muscle loss. Sweeteners or other flavor-enhancers, always useful while dieting. Guarana is made from the small seeds of a tree, *Paullinia Cupana*. We find guarana in energizing drinks, such as Redbull, and it is used as a caffeine substitute. Guarana seems to slow down gastric activity, thus promoting an increased sense of satiety, but it also decreases glucose levels within the bloodstream. Although it can help with weight-loss, Guarana can also provoke heart palpitations and anxiety. This supplement is traditionally used to treat chromium deficiencies, but it also seems to play a role in increasing insulin sensitivity. Sibutramine is an antidepressant that prevents serotonin re-uptake, as well as catecholamine norepinephrine by altering neurotransmitters. Sibutramine is sometimes prescribed to obese patients by doctors. This product increases blood pressure and cardiac activity. I strongly advise you not to take it, even if you read of its benefits in a magazine. These compounds affect leptin production by the adipocytes. This hormone regulates the usage of stored fat and appetite, as well as satiety mechanisms. This is thus a key hormone when it comes to weight loss. Leptin also regulates blood pressure, and impacts the brain, bone production and even the healing of damaged tissue. These compounds enhance body composition, optimize fat burning or reduce cholesterol levels. Pyruvic acid is an acid compound which participates in some metabolic pathways (such as glycolysis, Krebs cycle or neoglucogenesis). HMB is a metabolite derived from leucine. HMB might have anti-catabolic properties (catabolism being muscle degradation for ATP production). Many bodybuilders use HMB during their cut, as do some athletes in order to preserve their lean mass. Sesame oil possesses antioxidant properties. Two of its constituents are sesamin and sesamolin. A well-known supplement is “SesaThin”. Sesame oil may help in weight loss, however no studies really back this up. These supplements have the same *modus operandi* as fish oil caps: the inhibition of alpha PPAR receptors (the PPAR receptors are activated by peroxisome proliferators). PPAR-alpha are enzymes that bind to lipids. They are used as factors for gene transcriptions in two metabolic actions, one of them being lipolysis. This enzyme is activated when it is in contact with specific compounds (agonists) such as Omega-3 fatty acids. Sesame oil may also affect the transcription of a gene called “SREBF1”, which encodes a protein called “SREBP-1” (Sterol regulatory element-binding transcription factor 1). SERBP-1 protein is responsible for the constitutive expression of the LDL receptive gene or the Sterol biosynthesis, steroids sub-category. SesaThin is supposed to increase SREBP-1 enzymes production and expression. This enzyme has an opposed action to PPAR-a, since it increases lipogenesis (which is the lipids synthesis from fatty acids). Finally, SesaThin might slow down the mitochondria’s energy oxidation up to 4 times more than fish oil caps. Supplements made from Guggulsterone enhance T3 Levels that the thyroid produces. T3 plays a key role when it comes to weight loss. T3 affects many processes within the body such as cardiac rhythm, tissue development and body temperature. These are one of the most well-known supplements. These not-so-tasty pills contain Omega-3 (EPA and DHA fatty acids) that promote fat loss. To be more precise, not only do they enhance the Omega-3 and Omega-6 ratio, they also promote weight loss through the same enzyme mentioned earlier: PPAR-alpha. Omega-3 fatty acids act as antagonists on PPAR-alpha receptors, which means that the transcription of genes utilized during lipolysis are enhanced. Additionally, metabolism increases. Finally, fish oil also protects cells by reducing their aging and inflammation and enhancing their immune functions. There is a contra-indication for children, so make sure to check with your doctor before giving them to your kids. The synthetic form acts as an uncoupling protein within the mitochondria, which means that DNP boosts metabolism by slowing down the energy production metabolic pathways. ATP production is made possible through the oxidation of energy provided by the mitochondria, either from fatty acids or glycogen. By uncoupling this process, the body must burn more in order to obtain the same amount of usable energy, so it’s metabolic rate increases. One of the first effects felt after taking this product are an increase in body temperature/more sweating. You’d definitely want to stay away from this one. This supplement inhibits the action of the Triacylglycerol lipase inside of the pancreas (this enzyme is responsible for the conversion of lipids to monoglyceride or free fatty acids). In other words, Xenical prevents the absorption of dietary lipids by the intestine. Consequences include diarrhea or cramps. I’ve been able to try the synthetic form of this alkaloid. Yohimbine comes from a plant, the Pausinystalia yohimbe. Yohimbine is a Alpha-2 adrenergic receptor antagonist. These receptors block Alpha-2 receptors in areas in which we often find “stubborn fat” (these cells have an inverted ratio of Alpha and Beta receptors, which are used for the transport of fatty acids). Yohimbine is also used to treat erectile dysfunctions by enhancing vasodilation.